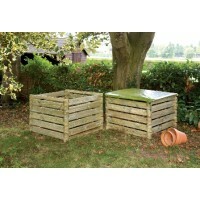 TJ's offer a range of composters in three sizes which are easy to assemble. The are pressure treated and guaranteed against rot for upto 15 years. Also available is the cover which fits all sizes available. Ideal for any sized garden and helps make gardening easier when you can dispose of the waste in the composter, The composters are manufactured as In The Groove System, which allows you to construct the composters easily. Garden Composter A useful composter for your garden which comes in 3 different sizes. 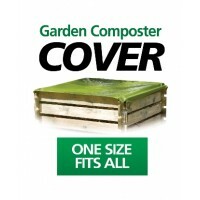 T..
Don't forget to order your cover for your composter. One size fits all. ..